There is no denying that a craft beer trend is brewing in Miami. Since the ‘70s, beer drinkers in the United States have started to give up mass-produced favorites from Anheuser-Busch and the Miller Brewing Company for new tastes by American-bred craft breweries, from Dogfish Head to Magic Hat. Now, Miami is home to a handful of microbreweries, which offer new tastes of the token college beverage. One local microbrewery is Titanic Restaurant and Brewery down the block from the UM’s Coral Gables campus. 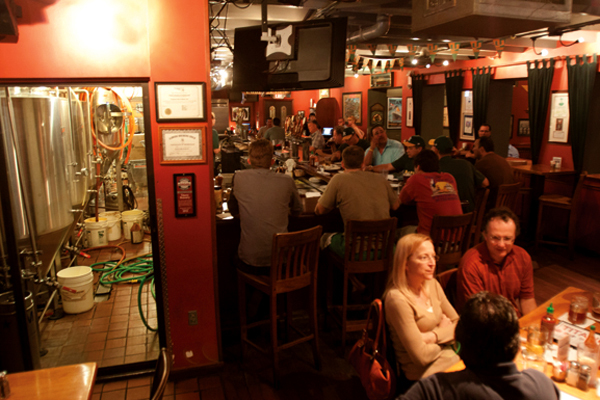 Titanic is a brewpub, which means that the beer brewed in-house must only be sold on its property. Every month, Titanic brews six kinds of beer, which are offered on draft. Now, however, microbreweries are popping up across Florida. “Florida is at the beginning end of the curve of a craft beer renaissance,” said David Kristen, the marketing chairman of the Miami Area Society of Homebrewers (MASH). For example, Schnebly’s Winery and Brewery in Homestead is the first microbrewery in South Florida to start distributing wholesale. Schnebly’s offers ales and lagers infused with starfruit, mango, guava, passion fruit and coconut, which are all grown on the property. Soon to join Schnebly’s in the production microbrewery business is Wynwood Brewing Company, which is in the planning process. While the wave of Miami microbreweries slowly develops, many local residents have been building breweries in their own homes. “The previous accessibility to good beer, or lack thereof, led to a lot of homebrewers creating their own suds, which in my view has really fueled the current local beer culture we see today,” said Brignoni, who started homebrewing in college. For example, Kirsten, who graduated with his bachelor’s and master’s degrees from UM, brews 5-gallon batches in kegs. The whole process takes between three weeks and a month. The members of MASH, including Kirsten, experiment with their brews. According to Kirsten, they have used spices, wood, chocolate and peppers in their beer concoctions. Kirsten’s favorite beer creation so far is his last batch of beer, a dark stout aged in an old oak whiskey barrel. Brew your own beer: Learn brewing techniques and buy ingredients and equipment at BrewBox Miami, 8831 SW 129th St., Miami. Join MASH by visiting miami-homebrew.org.